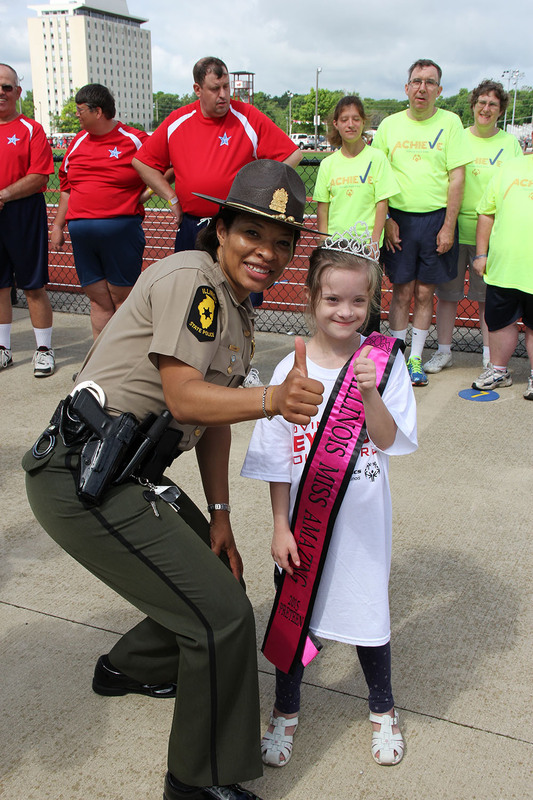 More than 4,000 athletes traveled to Bloomington-Normal to compete in the 2015 Special Olympics Illinois Summer Games – many for the first time. One of these athletes was Erin Compton of Westmont. 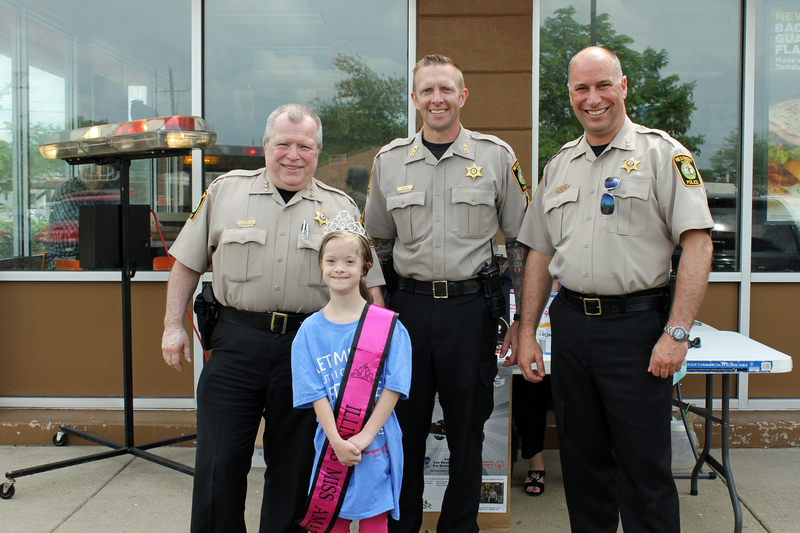 Erin’s journey with Special Olympics began as a family affair. When the Compton family couldn’t find a rhythmic gymnastics team for Erin to join her sister, Megan, stepped up as a coach. “It’s been so beneficial. The opportunity to work on movement quality, rhythm and gracefulness has been priceless,” explains Erin’s mom, Diane. The sisters used training videos from the Special Olympics office to learn the basics, but quickly realized she needed more sport-specific guidance. This brought them to Elite Gymnastics in Downers Grove, where Erin and Megan took private lessons with Joni Spata. Spata, aided by Margarete Novo, later agreed to start a Special Olympics class focusing on routines, strengthening and team building. “Rhythmic gymnastics is a very complete sport, with even the movement of the ribbon providing valuable visual and coordination skills,” Novo says. Four girls take part in the class and all four girls medaled at the Area 2/5 Spring Games in April. That qualified Erin to compete at the Summer Games, where she also volunteered at the track venue helping present awards. “Special Olympics rhythmic gymnastics has allowed us to make the important transition from physical therapy to life-long recreation and fitness,” says Diane. The skills learned through participating in Special Olympics have benefitted Erin in other ways as well. This year Erin was crowned Illinois Miss Amazing Pre-Teen Queen at the 2015 Miss Amazing Pageant – an event that provides an opportunity for girls and young women ages 5 and up with disabilities to build confidence and self-esteem in a supportive environment. Erin competed in a number of categories to procure her crown including a talent portion where she performed her Special Olympics ribbon routine – a routine that she will be performing again at the National Miss Amazing event in Los Angeles this July. She will also volunteer at the Special Olympics World Games Los Angeles 2015. “Special Olympics has given Erin a lot of confidence to succeed which is opening doors we never imagined,” says Diane.